I'm hearing voices, but all they do is complain. Slipknot’s tradition of performing in masks dates back to when the band was rehearsing for their very first gig just before Halloween in 1995. Shawn Crahan figured that, it being Halloween and all, it would be appropriate to wear a mask for their premiere performance and picked up a clown mask for the show. 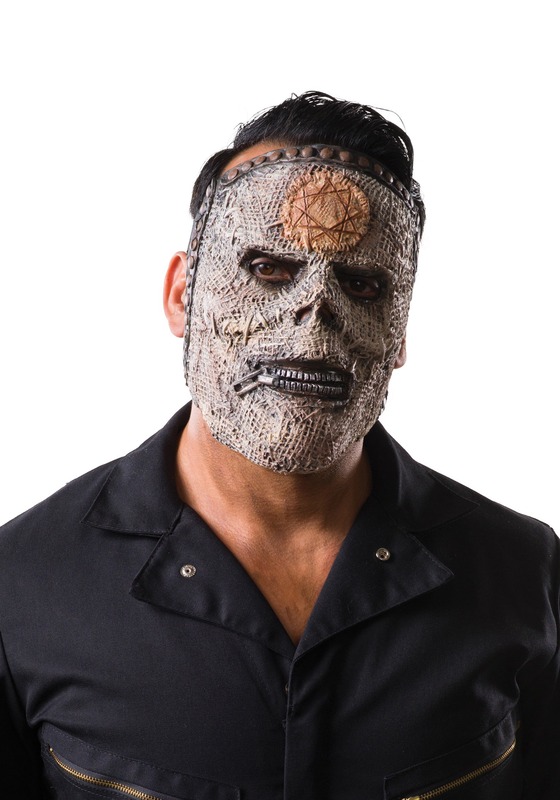 Not to be outdone by Shawn, the rest of the band got masks too, and any Slipknot fan knows the rest of the story: a legendary opus of brutal metal songs played by guys wearing even more brutal masks. We bet that the Backstreet Boys wish they thought of this first! When V-man joined the band a few years ago, he adopted his own signature persona, a cut up bandaged monster mask that looked distinctive while still fitting in with the rest of the band’s masks’ theme. If you want the best way to identify fellow heavy metal fans in public, just slip this sick puppy on and go about your regular business. Anyone who doesn’t recognize you isn’t worth your time anyway!